(1) Screws: Epoxy Coated Carbon Steel, Grades 305 or 316 Stainless Steel screws are available in various lengths (from 2" - 3"). All screws feature a star drive recess and are ACQ approved. 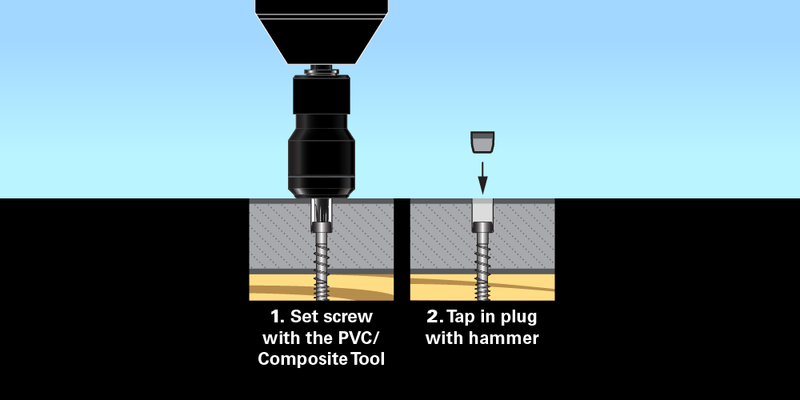 (2) PVC/Composite Tool: This unique patented tool drives screws to the correct depth below the surface. It features a No Cam-Out Auto-Stop™ mechanism that prevents the screw from stripping and a free spinning stop collar that protects the board. 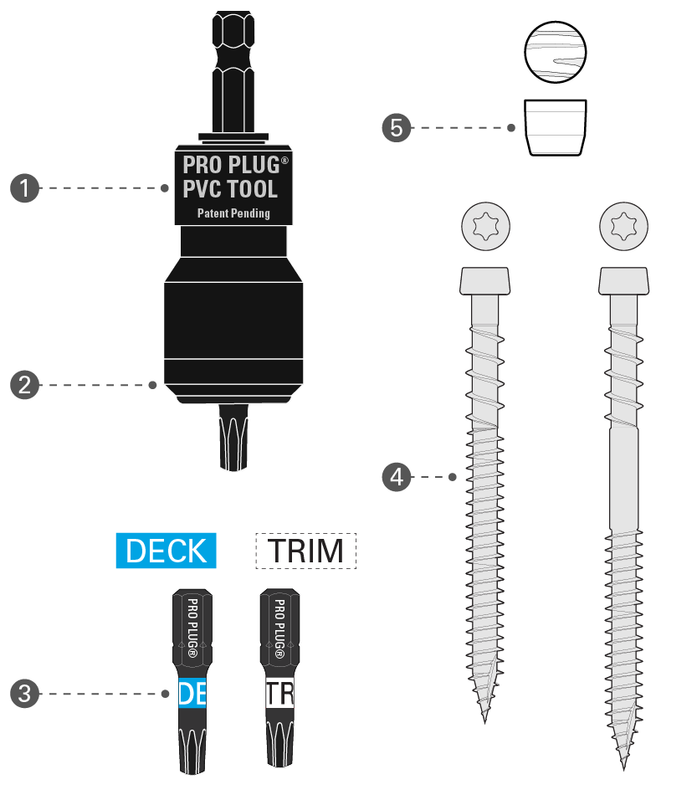 Plugs and screws are now available in separate packs with our Inventory Management Program. 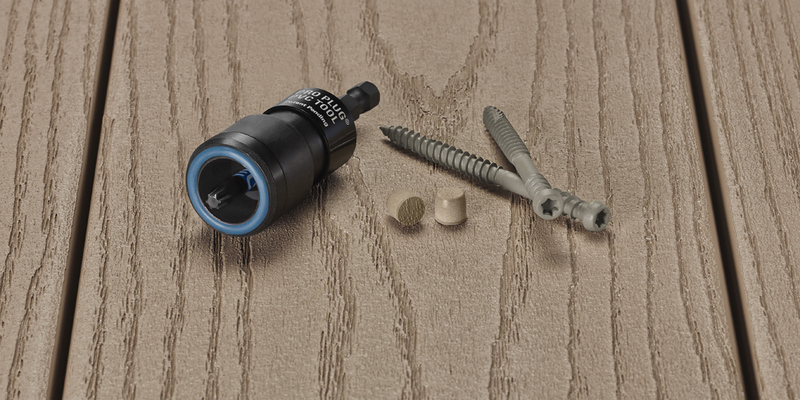 This program offers lumberyards the ability to carry a wider range of plug fastening options, while keeping inventory and shelf space to a minimum. 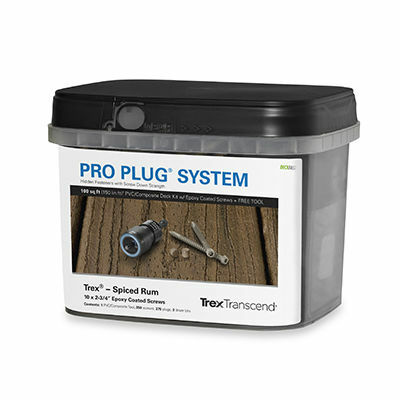 New: The Pro Plug® System for PVC and Composite is now available for use with Trex Elevations® and other metal framing systems. PVC/Composite Plug Screws are sold with the Inventory Management Program. See complete packaging options below. Epoxy Coated Carbon Steel, Grades 305 or 316 Stainless Steel screws are available in various lengths (from 2" - 3"). All screws feature a star drive recess and are ACQ approved. 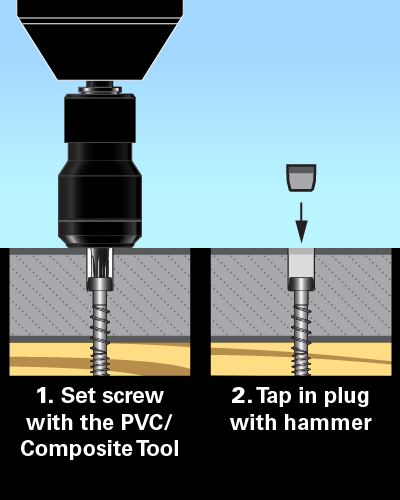 When driven below the surface with the PVC Tool, both fasteners create a perfect hole for the plug, without pre-drilling. Pro Plug System for PVC components and features. 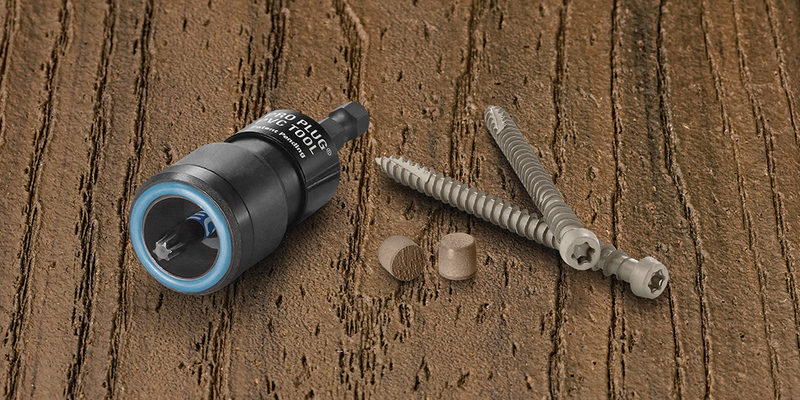 Pro Plug System for PVC and Composite is available in the two main configurations, with a variety of plug and fastener options: Inventory Management Program with screws and plugs sold separately and in Full Kits with screws and plugs in a single pack. See below for complete product listings and details by brand.